We always took pride in thinking we were pretty smart travellers. Smart in the sense that we are good at avoiding common scams, and most importantly, how not to get our stuff stolen. 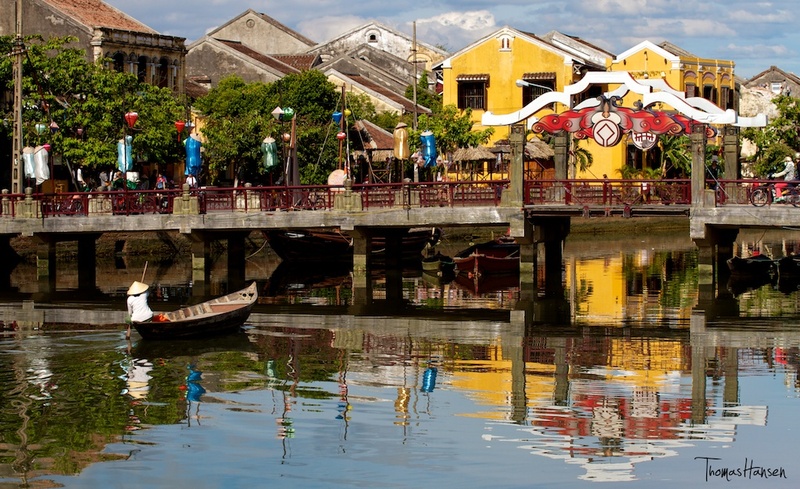 Our pride was crushed though when we arrived in Hoi An, Vietnam. As quaint and cool as this little tailoring town is, there was something about it that just screamed tourist trap from the moment we got off the bus and started getting a feel for the area. 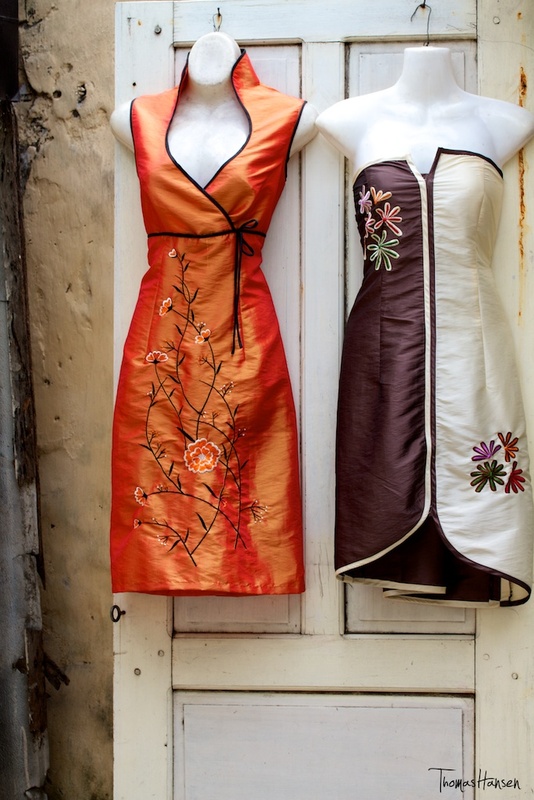 The whole purpose of our stop to Hoi An was to get some clothes made, and possibly some leather boots! Some friends of ours who had been to Hoi An last year, told us that the tailoring is near perfect, and that the prices are unbeatable. Jackets, trousers, dresses, boots, socks, underwear, suits…pretty much anything can be made for you in 1-3 days (including first fittings and adjustments). The problem with this quick turn around though, is that all of the locals know that you won’t be hanging around long. And some of them are more than ready and willing to take advantage of that! We’re pretty used to getting somewhat ripped off when we first arrive at a new place as we’re unsure of what the “normal” prices for things should be. So it came to no surprise that we paid 2.5x more than we should’ve for 3 pairs of custom made leather boots. That didn’t really bother us though, because we knew from then on that we’d be hard bargainers for all of our tailoring needs. What really caught us off guard though was having more than $200 US in various currencies stolen from our hotel room at Hoi Pho Hotel in Hoi An!! Now, we know better than to leave money in our hotel room. We also know better than to leave our bag unlocked for easy access. We simply just know better! There really is no excuse for our mistakes…we practically gave the money away! Immediately after noticing that the cash was gone, we naturally started pointing fingers and trying to figure out what happened. Fingers first got pointed at each other. Then to the cleaners. Next to the drunk Wi-Fi stealing Australians in the room next to us. Followed by finger pointing at the cranky receptionist in the library. It couldn’t be the nice receptionist who directed us to “preferred” tailors, and who gave us a complimentary map with directions to famous spots around the town. No way it could be her! It quickly became a game of Clue that we both knew would never get solved. In the end, we know better. We know better than to leave cash in our room. We know better than to leave our bags unzipped. We know better than to not put a lock on them. And we know better to simply not get careless. It’s in that one instance that you let your guard down that somebody is often waiting to take advantage of you. As frustrating as it is, we simply know better! So, in the end, a lesson well learned for our next adventure. At least the thief was kind enough to not take ALL of our cash. We’re guessing they wanted the missing money to go unnoticed as they knew we’d be on our way almost as quickly as we entered the town. For what it’s worth though, we still loved Hoi An, and will definitely go back if not to at least get a killer deal on some leather boots! ← Why Can’t We Stop Watching The Hangover Part II? That is so highly disappointing for you guys, I’m so sorry! It’s so true though that people are just always waiting around the corner. I always want to think otherwise but I guess this is more proof!! So sorry guys :( hope it hasn’t spoiled Hoi an, I loved it!! We got robbed in Ho chi minh but that was my fault cos I had a bag on baah haha oh well! Sorry to hear about the bag snatcher in HCMC. 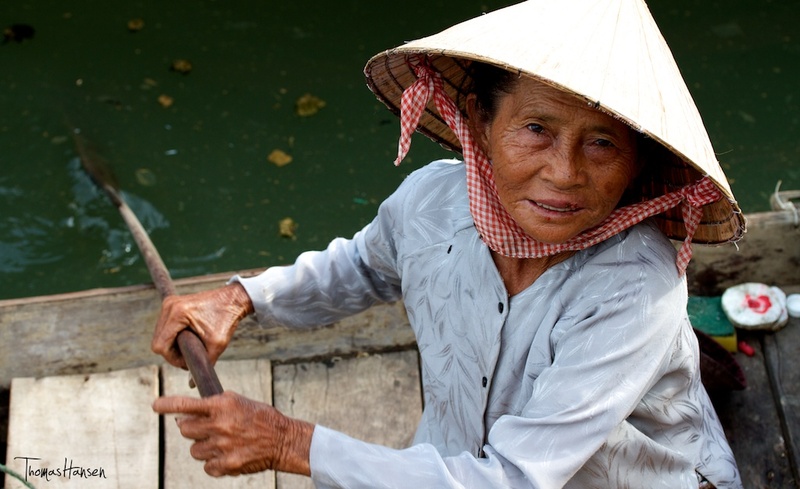 The locals in Vietnam always warn us about “thieves”….we never really took them seriously! haha. What!!?? Sell my boots! Thomas would be up for it, but that’s out of the question! :) Hahaha… True though, our travel tale of stolen cash could have been much worse, i.e. home invasion. Do tell?? This was way back when Cambodia was still a bit Wild West. We were coming back from dinner at around 9 and as we got to our gate, two guys on a motorbike with guns pushed us in and searched the house while we were locked into a room. We didn’t get hurt, but it was scary, nonetheless. Didn’t stop me from eventually moving there and loving it for 10 years!